Due to numerous comments, emails, and blogging on their incorrect reporting on the Hello Kitty rifle, and painted guns in general, the editors of The Alligator have printed this correction (link). “On Thursday, Feb. 8, we ran an article based on a report from the Gainesville Police Department about guns painted to look like toys. GPD provided us with a photo, which we ran in the paper and online. 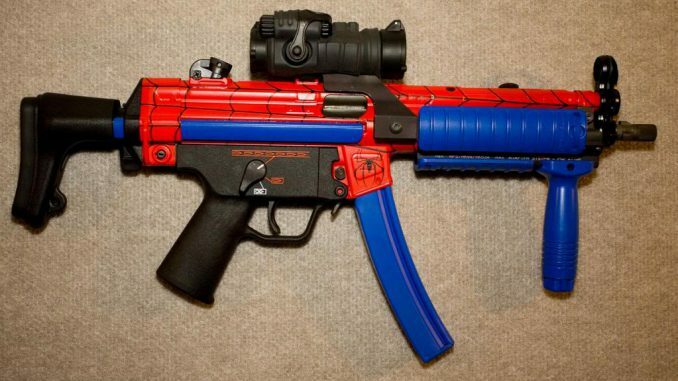 As far as we knew, the entire issue was about disguising guns in order to confuse law enforcement. Yep, no doubt handed down directly from Mayor Bloomberg’s office due to his crusade against DuraCoat. At least the editors of The Alligator have admitted their mistake and are linking back to my actual blog for the real story behind the Hello Kitty rifle. I commend them on the correction.